i got these out of the newspaper. they're free tickets to Water World. 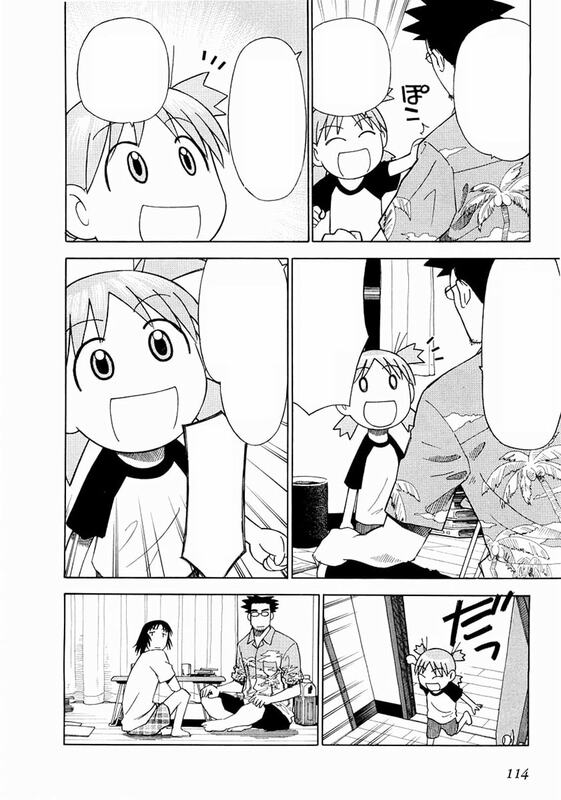 you know about water world, yotsuba ? don't say you know about some-thing you don't know. a bunch of different kinds of swimming pools and attractions. it's like a swimming pool and amusement park combined. so are we going? how many tickets you got? four, meaning one more person can come. 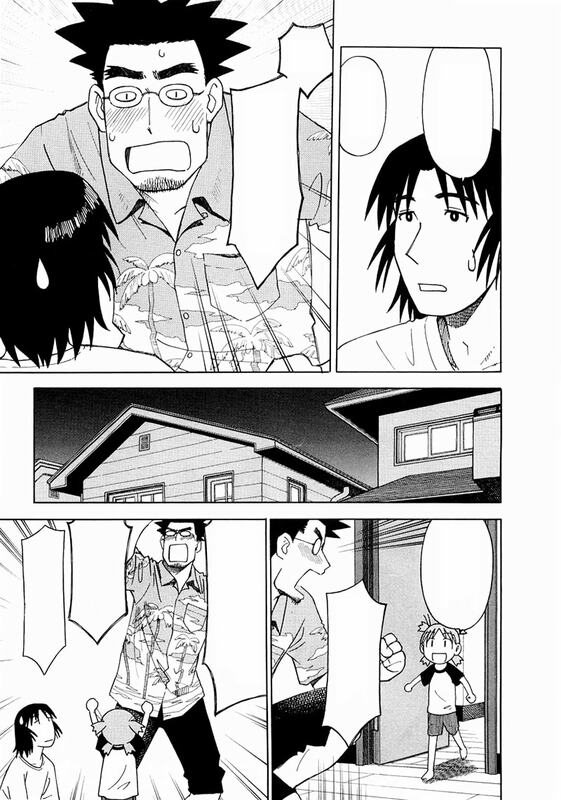 hey yosuba, you're good friends with the girls next door right? one of them is tall and has long hair right? 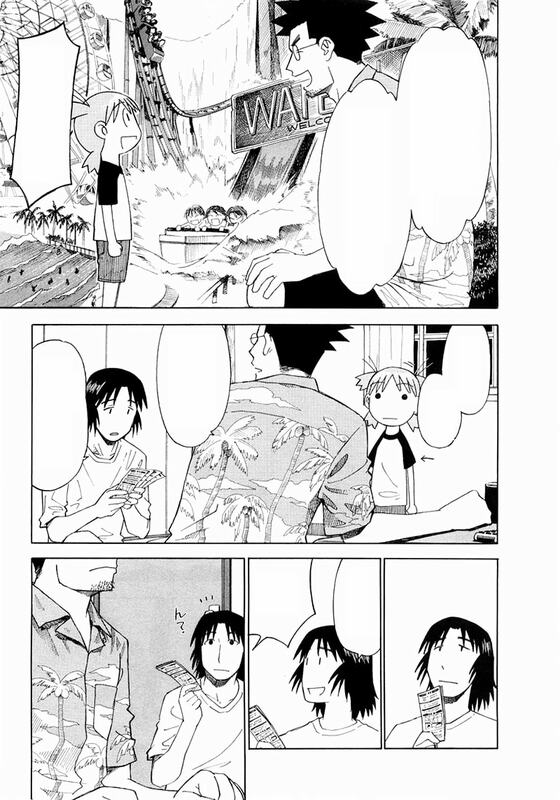 you want to go to the pool with asagi right? 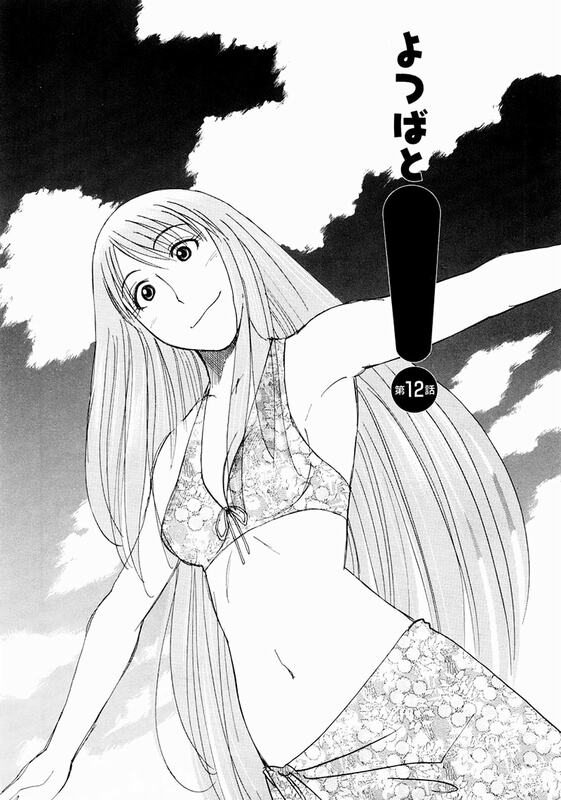 i want to go to the pool with asagi! then go ask her if she wants to come with us to Water world tomorrow. i'll go ask right now! 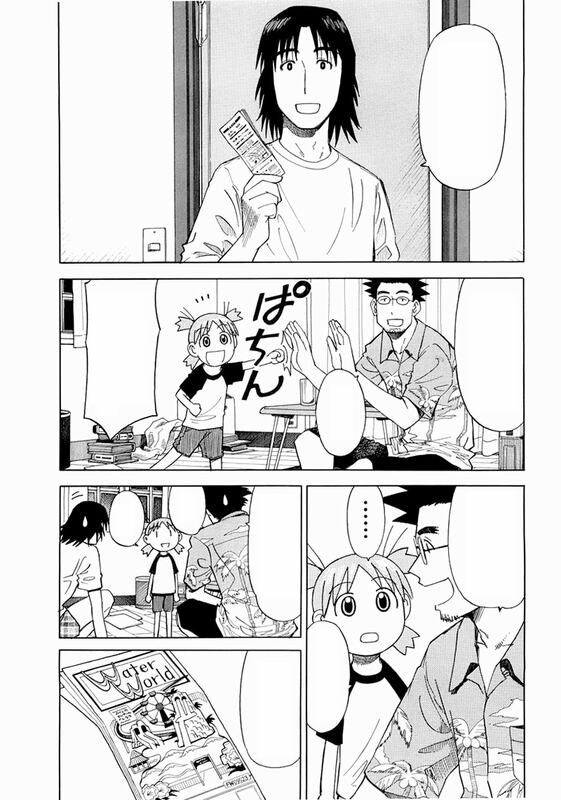 don't use yotsuba for stuff like that. i asked, she said yes. alright! tomor-row we go to the pool!